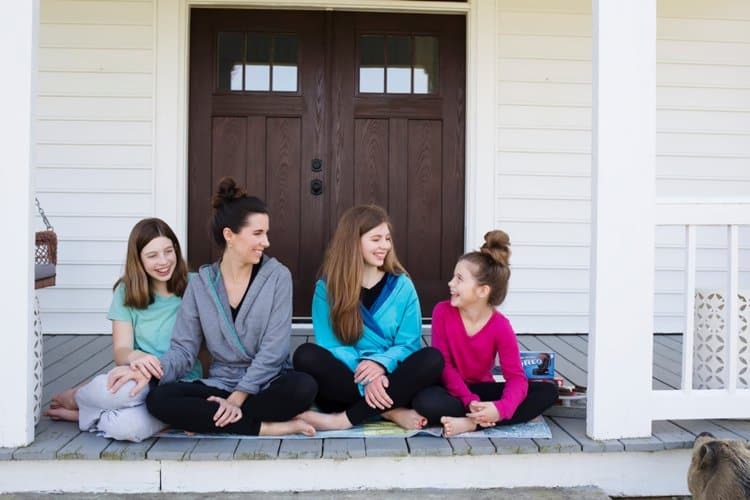 As the mom of tween and teen daughters I’m always looking for ways to spend quality time together where we can have fun and conversation. I’ve learned that my girls talk more openly when we are doing a fun activity together. One great way to create a fun, yet intimate space for bonding with your tween and teen daughters is to have a spa afternoon or evening. 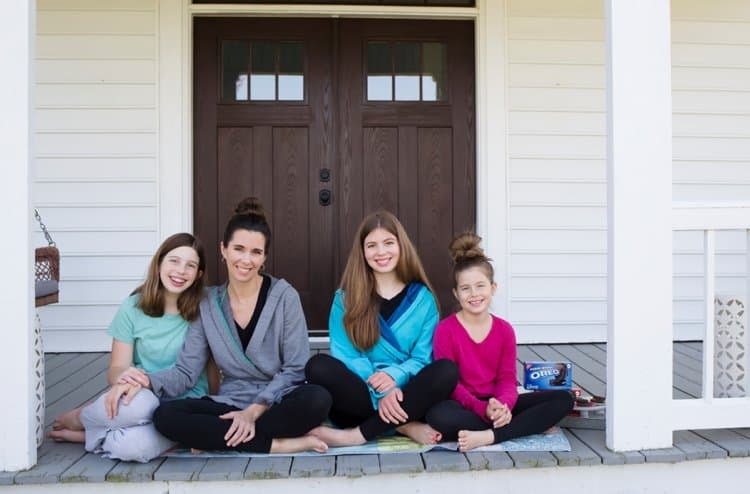 My girls love this time together, and we all love taking extra time to pamper ourselves! 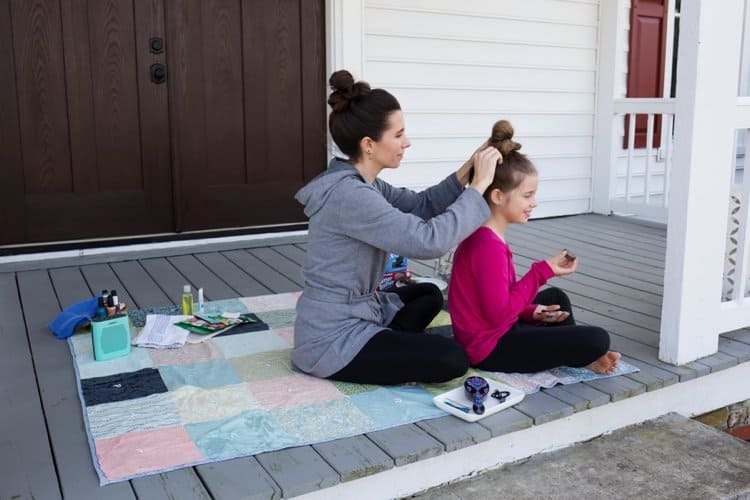 Spa Afternoon is one of our favorites- I love that it’s a special time I can create, and a big bonus is that I usually have everything we need on hand already! The ambiance of spa day is what makes spa day special. Set the mood by lighting candles, play music, and make the space cozy with blankets and pillows. 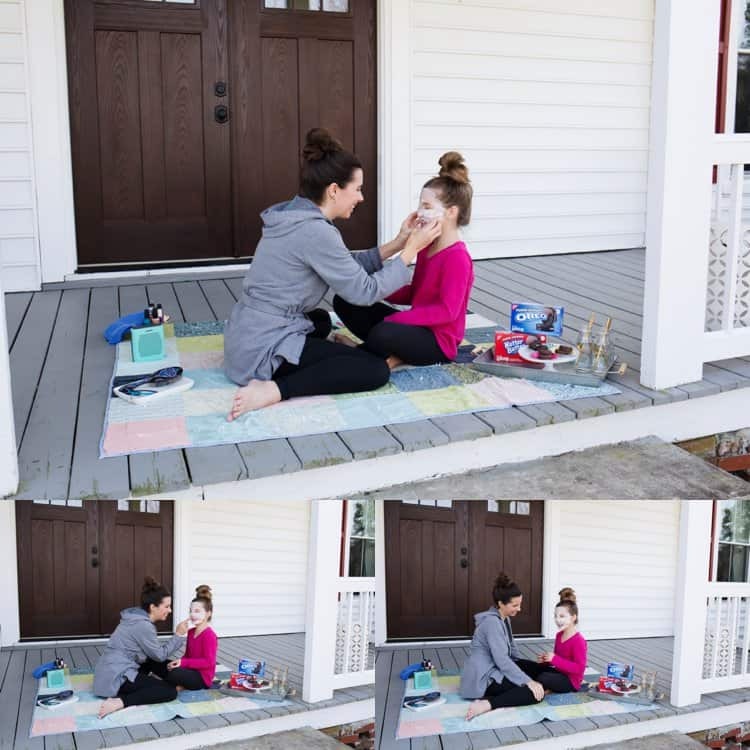 On gorgeous days, my girls and I like to have our spa day right on the front porch! It’s our favorite, most relaxing spot. Plus, for us it means the boys will be happy playing in the yard and not interrupt our spa time. Even though it does sometimes mean being joined by curious animals (see the curious piggy in the photo below? The next most important thing for spa day is snack! You can never go wrong connecting with tweens and teens over a snack, right? 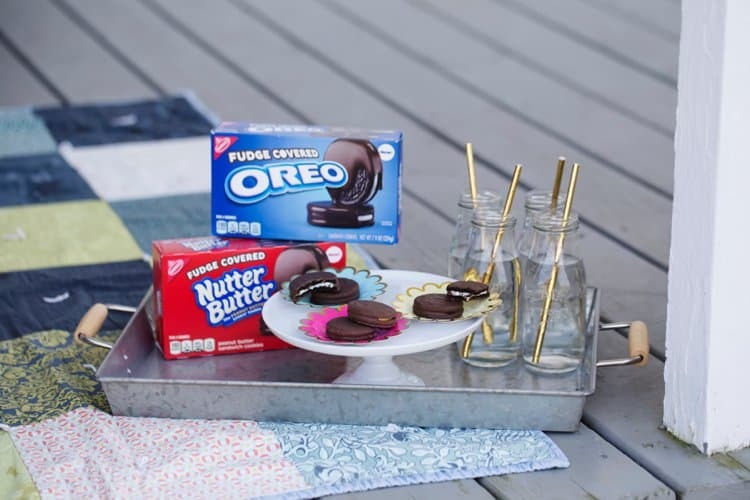 This week my girls and I were so excited to find Fudge Covered OREO cookies and Fudge Covered Nutter Butter cookies at Harris Teeter (with a coupon too!). We immediately knew they’d be the perfect thing for our spa day treat. Who doesn’t love OREO cookies right? OREO cookies dipped in a thin layer of fudge are amazing! Be sure to serve your snack in a special way- with fun linens or paper goods, or on special trays. 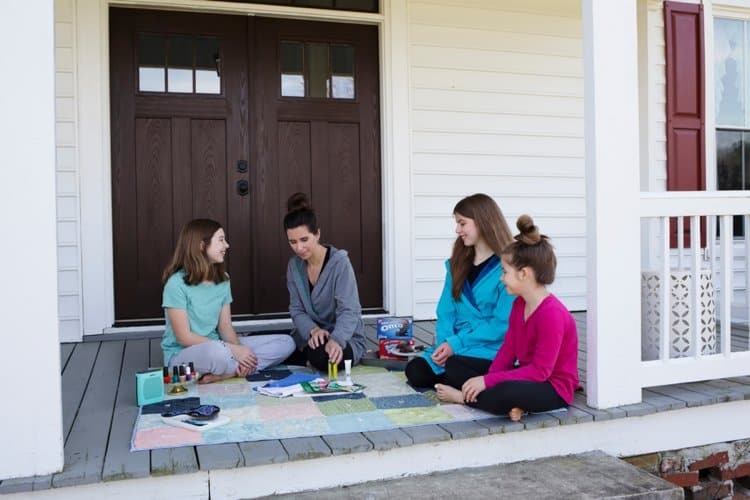 Decide which spa day activities your girls will enjoy and gather everything you need so your won’t spend your whole afternoon running for supplies. Gather pedicure and manicure supplies. Soak your feet in tubs of warm water while enjoying those yummy Fudge Covered OREO cookies. Then give each other pedicures. My girls love getting to use my face masks. This is the perfect time to pull out a bunch of different masks to experiment with. You’ll have a blast giggling at how funny each other looks with masks on, while treating your skin at the same time! I’ve found that my girls love to talk while getting their hair done. Spa day is a perfect time to practice braids and styles on each other’s hair as you chat. You can even do hair masks and treatments. Another fun option is giving each other massages. Now get comfortable! This is the time to wear your leggings and a comfy robe. 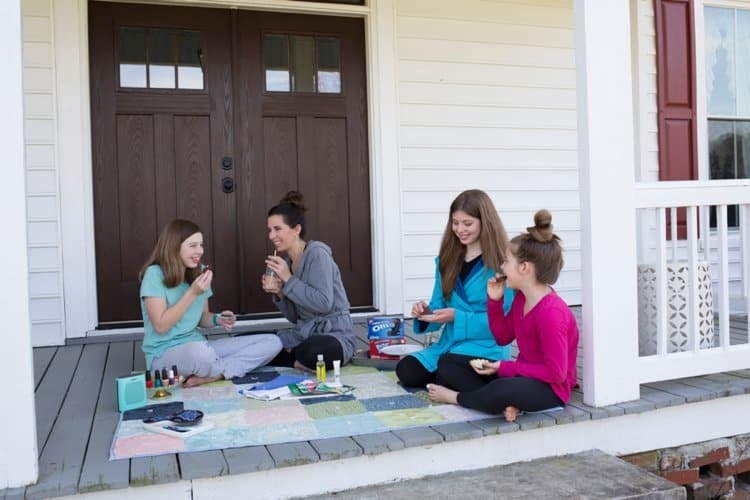 Gather your girls, chat, giggle, snack, pamper each other, and enjoy a day of encouraging mother/daughter bonding! 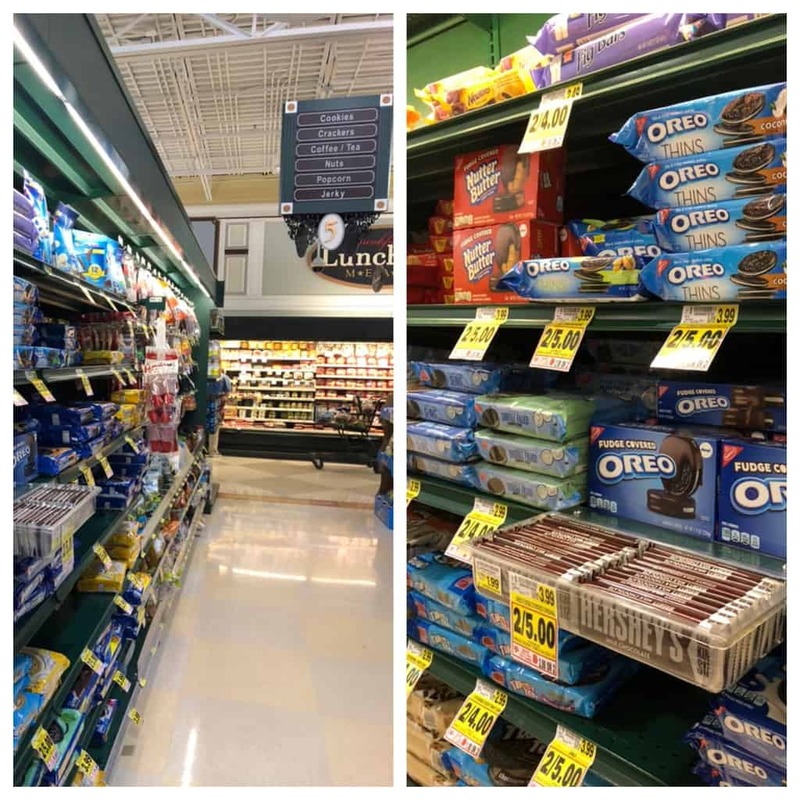 Be sure to stop at Harris Teeter to get your Fudge Covered OREO cookies and Fudge Covered Nutter Butter cookies. You can get a digital coupon to case $0.50 on a box of Fudge Covered OREO cookies or Fudge Covered Nutter Butter cookies. (This coupon is only available to e-VIC users). Go to the Harris Teeter website during the month of April to find your coupon. Coupon expires on 05/15/19.